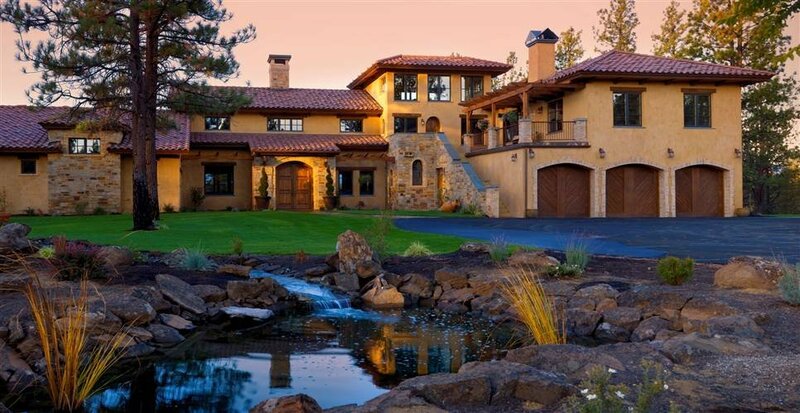 This luxurious Tuscan style home rests in harmony with its protected wooded setting outside Sisters, Oregon. The Italian country vernacular is faithfully articulated in the masterful use of timber, stucco and stone. From each minute detail to the lofty Great Room, this 4,600 SF home blends fine craftsmanship and sustainable architectural design for robust and gracious living. The third and fourth floors of this 4-story mixed-use building consist of condo units, 2 per floor. The condos were designed in tight collaboration with the clients, who selected a unique color and material palette for each unit. SAA provided space planning and full design documents and assisted the contractor (SunWest Builders) where needed to bring the building to successful completion. 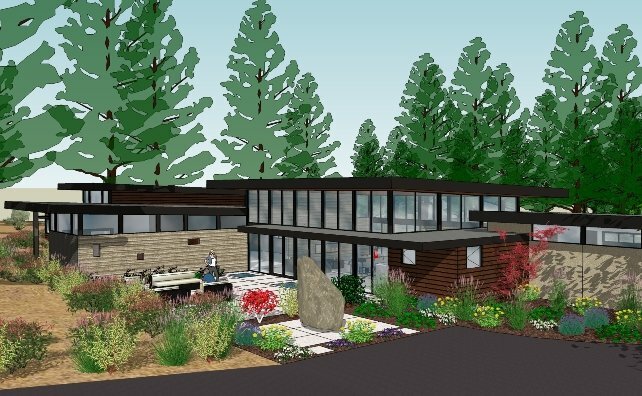 Steele Associates designed this northwest contemporary-modern style home which is currently under construction in North Rim. The home was designed to meld into the contours of the site. A beautiful stone and paver entry court complete with a fireplace greets visitors, along with a large deck off the great room and kitchen. 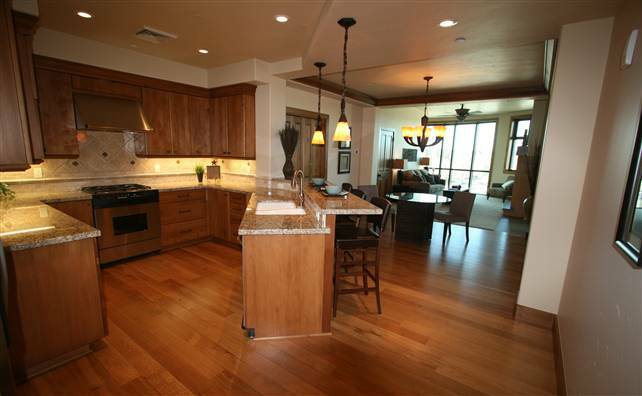 Additionally, the main level has a study and master suite, while the day-lit lower level has a media room and two bedrooms. 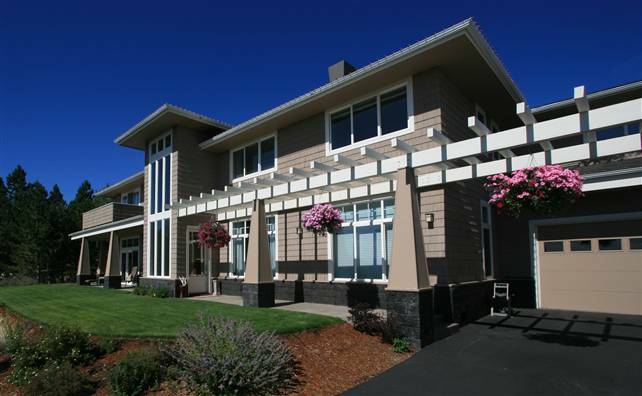 This 4,500 SF home is a fine example of a site responsive sustainable design. The home’s long axis parallels the slope of the site, working with natural contours while maximizing the view. The area in front of the home drops off a terraced slope to give a stunning and unencumbered 180 degree “infinity yard” yard view. The home’s long slim plan maximizes solar and view exposure on the southeast side where deep overhangs shade the summer sun while admitting it in winter. In best practice solar design fashion secondary spaces are placed along the north wall to insulate and buffer the living spaces. The majority of the large lot is left in its natural state. SAA designed this home for Steve and Pam Keeton. 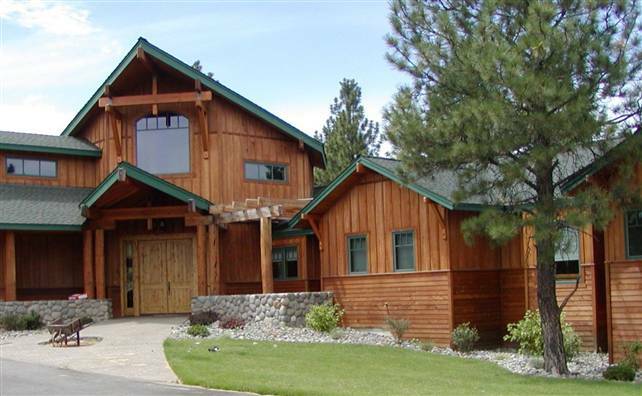 The 6,000 SF home is set on a 20-acre site with mountain views, a large pond and a pine tree studded meadow. Great care was exercised in locating the home on a rocky knoll. Steve even went so far as to have a honeybee hive relocated from a tree adjacent to the home site. The use of timbers, river rock and board and bat siding combined with a design that is sensitive to the nature of the setting resulted in a beautiful home. 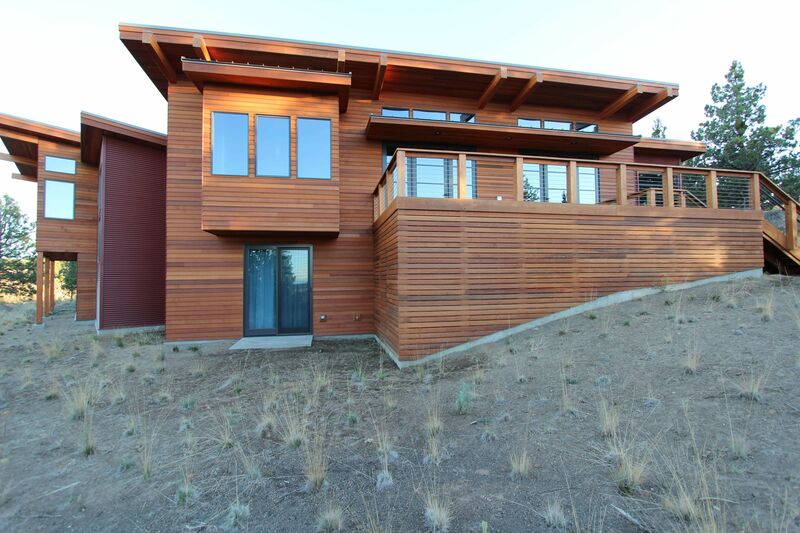 This home is perched on the rim rock overlooking the Deschutes River. SAA took great strides to design the home around trees, rock outcrops and large boulders. Patios and paths wind their way among the boulders creating a natural sense of closure and “outdoor rooms.” Dry stack basalt was used to visually anchor the home to the existing rocky site. This high-end design focused on the “Live, Work, Shop” theme utilizing all the conveniences of urban design in downtown Bend. Set on the top floor of the 5-story mixed-use structure, the eight units range from 1,000 to over 2,300 SF; each with a unique floor plan and private outdoor access. 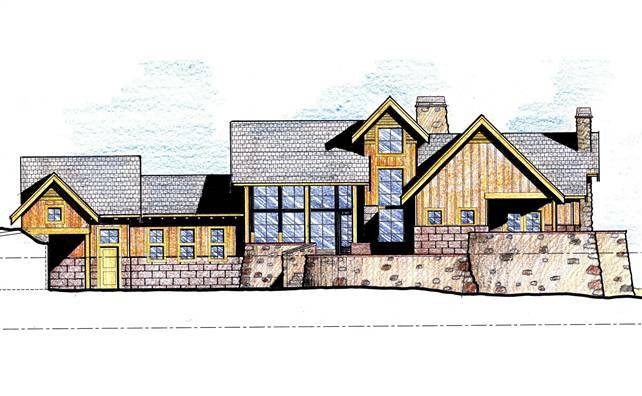 Steele Associates developed a conceptual design for this single family home on a relatively flat site in The Highlands. 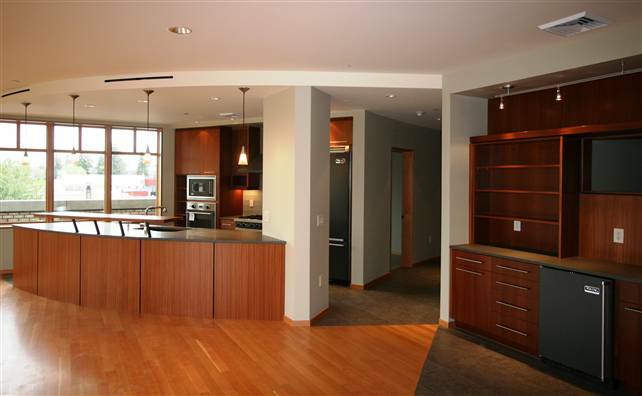 This contemporary style, single level residence, features approximately 4-5,000 SF of living space plus a three car garage, recreation building and guest suite. 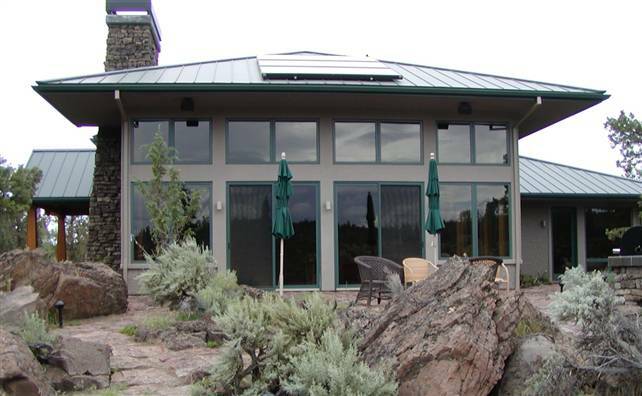 Scott Steele designed this contemporary lodge style concept when he was approved as an architect for NorthRim and was involved with refining NorthRim’s Design Guidelines.